Valentine’s Day is upon us once again. Tis the Season for love and passion for those we love the most. Usually the common practice is to get chocolates and flowers and go to dinner, or cook from home. Which is fantastic and always a great way to show the one you love how much you care for them. But how do we keep the ones we love on their toes and not expecting the normal Valentine’s day fair? Surprises are always a good way to earn points with the one you love. So what are some good Valentine surprises you ask…? Well I have some suggestions to help you fall in love all over again this season! The Napa Valley Wine Train is hosting special lunch and dinner options on Valentine’s Day. The Wine Train is a Napa classic in which you can enjoy a three-hour journey through the vineyards sipping wine and enjoying a gourmet dining experience. 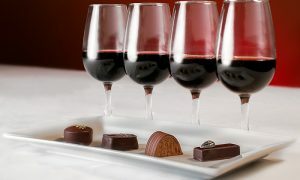 Port Wine and Chocolate Lovers Weekend at the Old Sugar Mill in Clarksburg is February 10-11 from 10 AM to 5 PM. There will be port, wine and chocolate pairings, as well as barrel tastings, all accompanied by live music. The Old Sugar Mill provides one location with 15 different wineries so you don’t have to drive between locales. The building is renovated from a beet sugar factory built in 1934 and is located just 15 minutes south of downtown Sacramento. The Lodi Wine and Chocolate Weekend: February 10-11 from 11 AM to 4 PM. If you are looking for more variety, check out this opportunity for tastings at over 50 wineries in Lodi region. Your ticket is valid for both Saturday and Sunday which includes entrance/tastings at all wineries, a commemorative glass and chocolate treat. Remember that all these events are annual, so if you can’t make it this year, start planning ahead to blow him/her away with your creativity next year. Take a Hike– We are blessed in Northern California to be surrounded by such beauty. You can hike to beaches, mountains, vineyards, lakes, waterfalls, etc. There is nothing like packing a picnic, leaving your phone behind and spending some quality one on one time together. So where do you find these hikes that are close by and will take your breath away, literally and figuratively? 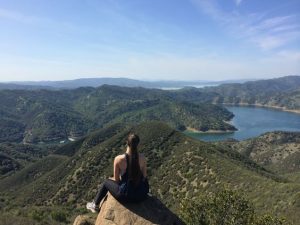 Some of my favorites are the Blue Ridge Trail, a 4.4 mile loop with stunning views of Lake Berryessa. You can easily set up anywhere you please and have a great picnic while enjoying the vista. Another one I love is the South Fork of the Yuba River near Nevada City. This hike has beautiful swimming holes every step of the way where you can stop right by the river and set up a nice romantic picnic with the sound of nature as your background. No matter where you go you really can’t lose with a loved one by your side and nature as your background music. Think of a solution– Nothing pulls couples closer like working together to solve a problem or overcome adversary. Now don’t go starting issues with your relationship just to solve a problem! I mean, create a personalized scavenger hunt, break out of an Escape Room, or go to a local pub quiz night. Put your brains to the test and work together to solve a problem. Scavenger hunt: I have created multiple of these and even proposed to my wife with one! When you make it yourself, it can be extremely personalized and meaningful for your partner. 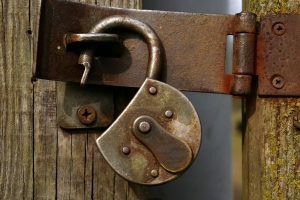 If you want to have joint participation, there are many sites and companies that create one around your town to help you explore and solve clues together. Escape room: I have tried three different companies in Sacramento, all of which were a blast! Usually I have completed these with a group of at least eight friends because there are many different puzzles to solve to be successful. So this could be a great group date or you can take on the challenge with your partner but be prepared to work fast and think outside the box. Trivia Night: test your knowledge together and complement each other’s strengths while competing in a fun environment. In the end, it’s not about winning or losing, it’s about hanging out with the one you love and enjoying every minute of it. Now I know these are ideas for Valentine’s Day but they really can be done all year long. As many have said before me, Valentine’s Day was created by Hallmark, but that doesn’t mean you shouldn’t use it to express a little extra love on Wednesday. The important thing to remember is to carry this feeling with you. Throughout the year, show the one you care for most how much you love and adore them. I hope you all have fun and enjoy this day of love! Comment if you have tried any of these things and want to share your experience. And as always if you need anything in Real Estate, I’m your man. Nothing says I love you like a new house for your special someone.